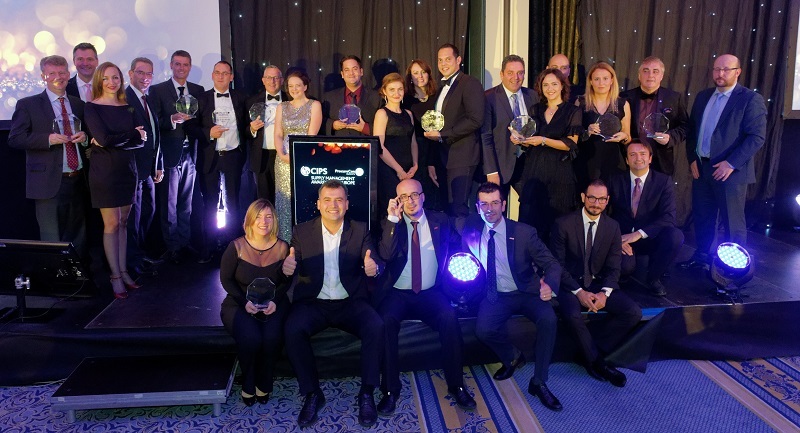 The procurement team at Manchester Airports Group (MAG) recently won awards at both the CIPS Supply Management UK Awards and the CIPS/ProcureCon European Awards in Berlin. Spend Matters took a trip to Manchester Airport itself to meet some of the team who have delivered an impressive transformation in procurement performance over the past three years. Manchester Airports Group runs London Stansted, East Midlands and Bournemouth airports as well as Manchester Airport, the busiest airport outside London in the UK. MAG has an unusual structure, being partly owned by a group of Greater Manchester local authorities and partly by IFM Investors, yet it operates in a very commercial environment and manner. Until 2014, procurement consisted of a small team working mainly on transactional activities. Procurement fell short of best practice. Some procurement processes were not as clear as they might have been, with procedures for spend management, project management and governance not structured or measured. In addition, the business units often worked in isolation, carrying out purchasing tasks with limited collaboration, performance measurements or checks. In late 2014, MAG’s CEO, Charlie Cornish, recruited George Owens as Group Procurement and Contracts Director. Cornish knew Owens had a good track record of building and improving procurement functions. That senior-level support was invaluable, and helped Owens make the business case for investment in staff, process improvements and technology. He proceeded to bring in a number of senior managers to fill vacancies and new category leadership roles, including several who he had worked with before. They embarked on an overhaul of the MAG procurement processes through a structured change management programme, focusing on cleansing, segregating and controlling group spend data to define cost-reduction opportunities, group procurement strategy, policy, process and execution governance. Interestingly, it did not involve major IT expenditure, although more use was made of existing systems and platforms. Rather, the main thrust was on improving sourcing, transactional and contract management processes and (critically) getting internal stakeholders on board with a new way of doing procurement, which they did by integrating the dual roles of category leaders as senior business partners with divisional CEOs. The transformation involved laying out a very clear definition, and pathway, of how procurement was going to work, with documented rules and responsibilities, who needed to be involved at which stage, how the optimised end-to-end process would work and when and how to get relevant sign-offs. The trick would be getting everyone else to agree and adhere to it. Owens and the team had what was both a disadvantage and potential advantage in that MAG is covered by the EU Utilities Directives, so the need to comply with those regulations was one lever to gain stakeholder buy-in. As we discussed in our earlier articles focusing on Owens more personally (here and here), his background includes professional large-scale and complex project and programme management experience, so it was inevitable this programme would be run in the same way. Owens applied a strict project management approach, run in a professional manner, with a project management office overseeing the transformation. The team developed detailed plans and structured monitoring and reporting, and other PPM disciplines were put in place, such as goals, SMART objectives, performance measures/targets, timeframes and milestones - all connected via a public Goal Tree and a “Golden Thread” of team/business connectivity of agreed annual priorities. So many similar procurement transformation programmes fall over during delivery phase because of lack of this kind of attention to delivery details or loss of focus – but this gave everyone a defined route to follow, making sure each person had their own commitments as part of the wider picture. So plans were put in place for a methodology that would keep everyone up to date continuously, throughout the entire programme lifecycle, on progress made and next steps, with advice and tools to help uptake. Adopting this meant there would be no surprises, everyone would feel not only apprised of the situation, but, importantly, involved, as their constructive feedback would be turned into evidenced continuous improvement and communicated back to them, which would serve to encourage ongoing support and interest. As well as process improvement, the procurement team also looked hard for new commercial options and opportunities. Owens led the research and establishment of the use of Crown Commercial Services contracts, and used those when appropriate, which offered both commercial and “speed to contract” benefits which were appreciated by stakeholders. Collaboration” was one of the 5 jigsaw pieces that made up the new strategy operating model. And in part 2 tomorrow, we’ll look at the steps taken to ensure that the procurement transformation really delivered what was planned.